When European Commission (EC) President Manuel Barroso, announced the structure of the 'Barroso II' Commission, many seasoned health observers pored over the details with greater that usual interest. This was because the pharmaceutical industry, long the purview of the Commission's Enterprise Directorate, had been moved to the embrace of DG SANCO, the Health and Consumer Directorate. This provided some satisfaction to certain sectors of the Brussels cognoscenti, some of whom had long argued in favour of such a move, feeling that DG Enterprise had been too sympathetic to the industry. There was a sense that DG SANCO would adopt a more public health orientated agenda. There was even a hint of schadenfreude that the pharmaceutical industry could be wrong-footed by the move. In truth, this change was not a total surprise to the industry, as it had been mooted for so long. Equally, this view ignored the multiple roles of the industry in Europe. The pharmaceutical industry has always been a source of innovative medicines to meet the needs of patients. However, it is also an engine of innovation, investment in research, high quality jobs and a substantial positive contributor to Europe's trade balance. As a result, the industry has always worked closely with both Directorates on various levels, mainly through the European Federation of Pharmaceutical Industries and Associations (EFPIA). In recent times, EFPIA has had positive dealings with DG Research, in setting up the pioneering Innovative Medicines Initiative, as well as some less happy experiences like Neelie Kroes' DG Competition sector inquiry during 2008 and 2009. That said, the industry is naturally cautious and would not have sought a change. Relations with Cypriot Mme Vassiliou, the previous incumbent, were cordial; she was seen as having handled the role well. What was unexpected was that her replacement at SANCO was to come from an even smaller country. The position was given to the Maltese Minister for Social Policy, John Dalli. It is not unfair to say that a few eyebrows were raised on seeing a substantially increased Health and Consumer portfolio become the responsibility of the Commissioner representing Europe's smallest Member State. Politically, it was hard to read. Admittedly with a Cypriot Commissioner, Health and Consumer had performed well, albeit alongside a second Commissioner with responsibility for the Consumer portfolio. However, given the larger portfolio, combined with general downward pressure on healthcare costs, there were some understandable concerns that SANCO would require a strong candidate, capable of leveraging alliances. The biggest concern was whether he would maintain the required balance between the business contribution of the industry to Europe, and the demands of the public for new and innovative therapies against the public health remit. Dalli's background, as an accountant and time-served cabinet minister, combined with a centre-right political stance (his party in Malta, the Nationalists, is aligned with the European People's Party – European Democrats in the European Parliament), meant first indications were good. So what should we expect? Mr Dalli has been a professional politician for more than 20 years. His portfolio in the Maltese government covered social policy, which included healthcare; he has also represented Malta at the Health Council, so it is safe to assume that he is well versed in EU machinations. However, as anyone who uses a financial advisor is aware, past performance is no indicator of future returns. Therefore, it is prudent to take a second angle based on his pre-selection hearing in the European Parliament (EP). Importantly, it appears that he recognises the special, dual nature of the industry, stating that: "We must strive to reinvigorate this sector through innovation and enhancing its economic competitiveness. This is not in contradiction to the paramount principle of patient safety. All these areas hold great potential to secure significant health, but also economic, gains..."
So far, so good. But he also made it clear that health would not be his top priority, as he would complete the food chain strategy first. The healthcare dimension would be his second priority. However, he 'looked forward' to the challenge of managing the integration of pharmaceuticals into public health. At the same time, he spelt out his ambitions in healthcare in more detail. He wanted to increase the number of years individuals expected to live in good health through disease prevention and by making "affordable, safe and efficacious medicines available to patients across the EU". His exact plans were understandably less clear, given that he was not in post at the time. Clearly he did enough to impress; his appointment was approved and he is now a fully-fledged Commissioner. The challenge now is not just to drive his own agenda, but to manage the one he inherited from DG Enterprise and balance both against a very austere fiscal environment for the industry. Perhaps fortunately for Mr Dalli, he will not have to sort out challenges such as the situation in Greece, where that country's precarious financial position brought to light the levels of unpaid invoices. Pharmaceutical and medical device manufacturers have outstanding hospital debts in excess of €7bn there. The Late Payments Directive, which should have prevented such a situation, is currently under revision and attempts to exclude the public sector from its scope are, understandably, viewed with suspicion. Industry will hope that there are no other similar scenarios to be faced. Mr Dalli will still have plenty to manage when he finishes the food strategy, in the form of the Pharmaceutical Package of improved pharmacovigilance, information to patients and increased protection from counterfeits. The pharmacovigilance aspect and improvements to anti-counterfeiting measures, though attracting differing views on approaches concerning internet sales, have been accepted generally as positive moves. However, the information-to-patients part is the most controversial. The problem here is partly historical, following an earlier attempt to allow the industry to communicate to patients on a limited number of diseases. The usual complainants railed heavily against it, and the initiative floundered in the face of the EP's belief that it was an attempt to introduce DTC advertising by the back door. This left a degree of rancour, which is still evident today in the increasingly tribal stances of stakeholders in the debate. The current status of the legislation is that it is going through the EU's co-decision procedure, which equates to amendment by the EP and the Council of the EU. The hiatus invoked by the EP elections allowed the Council to run with the legislation and to sideline it, reflecting a general lack of appetite for the proposal in the Member States. Meanwhile, the EP has caught up and is producing its own recommendations. The lead rapporteur, the Swedish MEP Christofer Fjellner, developed a draft report that appears to have pleased no one. Industry opponents proclaimed it an advertiser's charter as soon as it was published and the industry grumbled that the original Commission proposal had been eviscerated. In truth, Fjellner has done a good job, ignoring the Brussels in-fighting and focusing on his real remit: what is best for the public. He has recognised that the information already exists, and that the public needs to know which of it they can trust. As a result, he has risen above the 'who does what' argument. However, Mr Dalli's Commission is the unknown quantity. With the Council stalling and the Spanish Presidency not making the issue a priority, there is a risk that, without further momentum, the legislation will falter. It is the Commission's proposal, and stakeholders will increasingly look to DG SANCO for a signal of its intentions. Will it be given another push, fail through neglect, or be withdrawn completely? At this stage, nobody knows. To date, Mr Dalli's only pronouncement on the topic has been that he wants to have a clearer understanding of the difference between information and advertising. Otherwise, he and his team have been reluctant to get involved in the debate, declaring it too early. 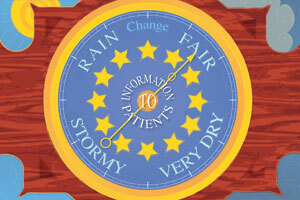 The information-to-patients debate can be taken as a barometer of DG SANCO's likely attitude to industry. What happens on that dossier will, to an extent, indicate what to expect in future. We should know soon; with the EP committees now actively debating the topic, the Commission cannot demur forever. If SANCO were to show some visible support for the industry, it would be a welcome sign. However, it is the fickle nature of European politics, like all politics, that the perception created is as much a consideration as the action itself, and trust in the industry is not at its highest. It would be a bold gesture to make so early in Dalli's tenure.